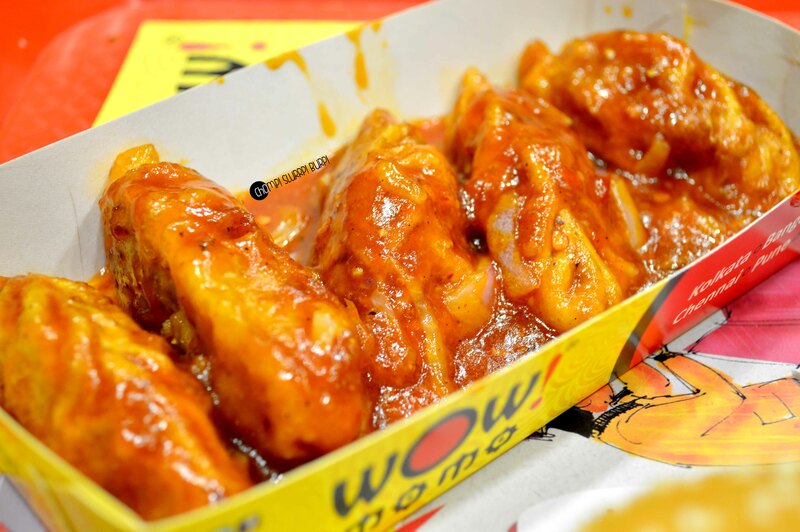 #QuickChomping at WOW! Momo - CHOMP! SLURRP! BURP! How often are you caught up between the maddening urge to chomp on something well, just yummy and not having enough dough? A lot more than often and such are the times when a quickie without burning a whole in your pocket is just what is needed. WOW! 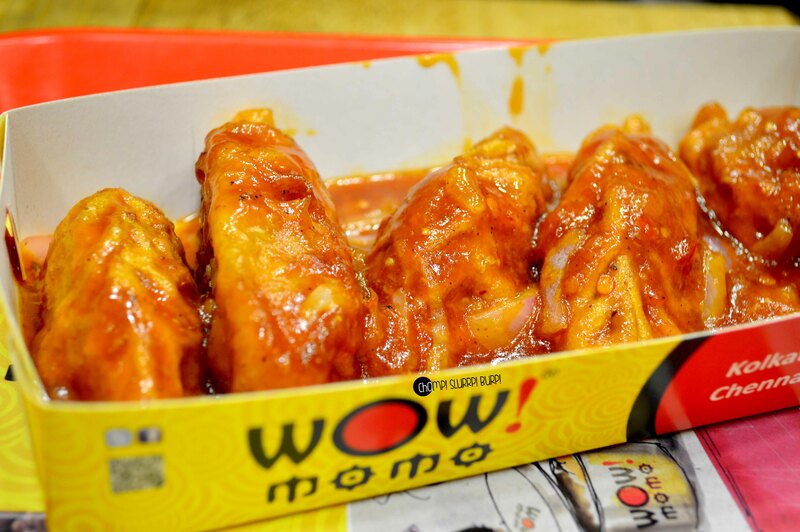 Momo is a name synonymous to fusion momos, momo burgers, chocolate momos and more. The quick bite place with a peppy vibe has outlets all over the city and country. 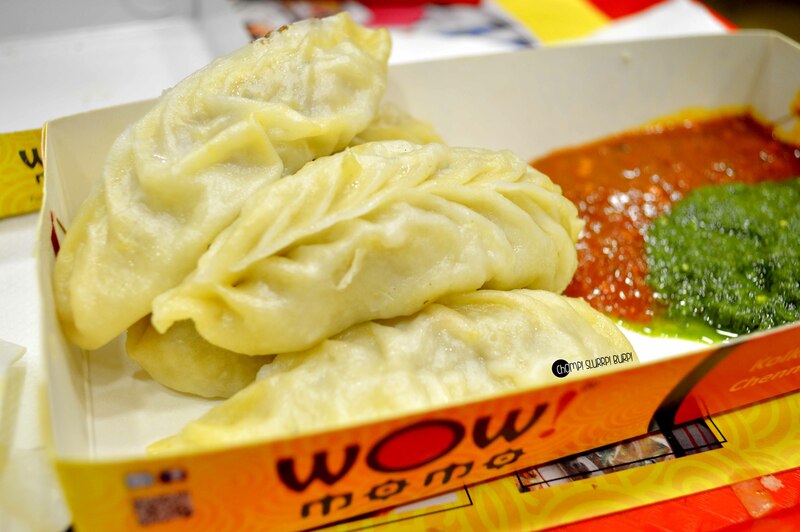 We started with their classic steamed chicken momos with a momo burger and a pepsi combo. The steamed chicken momos come with the contemporary chilly chutney and the not so contemporary mint chutney. Heavy on freshly ground pepper, drowning the chicken flavours. In case like me you are not too high on pepper, you will find the flavours too hot to savor the momos at all. 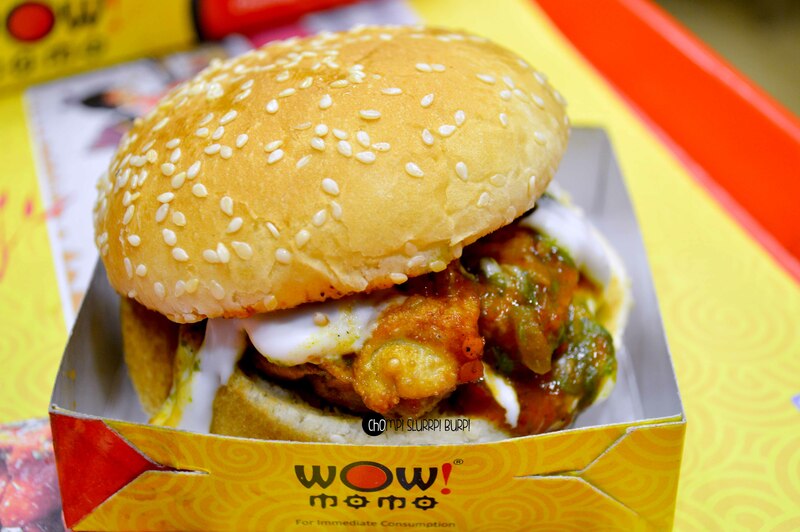 Chicken momo burger – fried chicken momo in a sesame seed bun with mayonnaise, chilly sauce and mint chutney. This was one of the most unusual burgers, dowsed with loads of chilly. It could have done with a little cheese and more mayo but never the less, you have got to try it. Pan fried schezwan chicken momos – chicken momos generously stuffed pan fried to a crispy texture and tossed in a chilly, saucy sauce. The sauce wasn’t schezwan per say, but the chilly sauce pan fried momos were incredible otherwise.